A large bird that lives at the junction of the desert and the forest, which has evolved from a chick. Its feathers are bright-colored and its size is huge. It can make a very strange sound. After training, You can ride it. 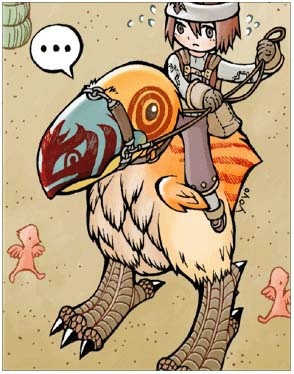 It's one of the popular mounts.